50% of the artistic heritage of the World is in Italy but, judging by art sites visitor statistics, there is a population not particulary attracted by all this beauty: the italians. The objective of the campaign was to encourage italians to rediscover the artistic wonders of their country during The italian culture week, a yearly initiative during which all public art sites can be visited for free. The campaign intended taking advantage of all media. Social networks, expecially youtube and facebook, were used to target the younger population. Young people are very active on the Internet and most of the time they watch and share nonsense videos. The concept of the campaign is so simple: it’s rare to get something so precious for free. A month before the start of culture week a teaser page was created on Facebook called “Nonsense videos | a nonsense video per day”. The Facebook page was linked to a youtube channel. On a minimum budget we shot some nonsense videos then we published one a day on facebook and youtube. The virality of the project attracted thousand of fans on facebook and hundreds of subscriptions on youtube. After a teaser phase of 28 days and 28 nonsense videos, on the day the campaign was launched on other media, the message was revealed. 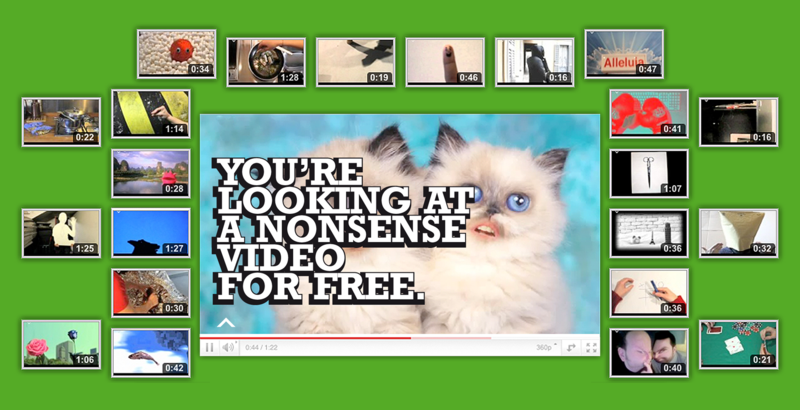 “You’re looking at a nonsense video for free. 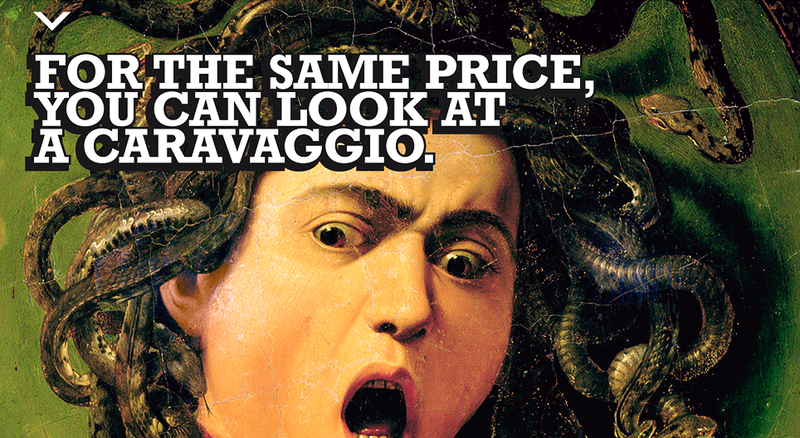 For the same price you can look at a Caravaggio”. Culture week 2010 has been the most successful edition ever with over 1.580.000 visitors, plus 4.71% compared to 2009. Cannes Lions 2010: Shortlist, Film.